I was surprised by this complaint. The reason being that I had learned a lot from the speakers. While I by no means claim to be a great theological mind, I have done my fair share of reading and studying the Christian faith, and I also have a little bit of ministry experience to boot, so I was confused as to how this student found nothing of value in the very same messages that had greatly encouraged me. Bearing this story in mind, fast-forward to this past weekend. On Saturday I spent the day at the home of a retired Trinity professor. He and his wife have led extraordinary lives, leading and teaching at influentials schools all over the world (both Christian and secular alike). They are both time-tested witnesses of the faith and I could sit at their feet all day and listen to their stories and wisdom. At one point during my meeting with the professor I walked into the kitchen to find his wife sitting at the kitchen table with her Bible and an open Bible study booklet. The workbook was a thin paperback and it didn’t look like anything special– there was nothing particularly scholarly or even trendy about it. Yet that visual–of a nearly 80 year old woman sitting at her table, faithfully reading her Bible and studying an accompanying workbook–was tremendously powerful to me….and humbling. This woman has been a Christian for at least 70 years. 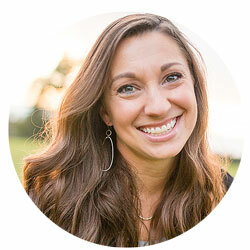 She has studied at Wheaton and partnered with her husband’s intellectual endeavors over the years–hasn’t she outgrown these dime-a-dozen Bible studies? Now I want you to consider the two scenarios I have here described. One involved a student who was young in both age and spiritual maturity, the other a much older woman with decades worth of experience and devotion to God. The young student easily dismissed Christian teaching that he perceived as being below him, while the spiritual stature of the professor’s wife did not deter her from engaging “less sophisticated” resources. The distinction between these two individuals is striking to me. And as I have reflected on the difference between them I’ve been reminded of Luke 1:53. This verse belongs to Mary’s Song. Mary has just learned that she is pregnant with Jesus, and she responds with a beautiful meditation on God’s faithfulness. In verse 53 she states. At first glance, one might interpret this verse as referring to bodily hunger, and that is certainly a viable interpretation. However I can’t help but wonder if this verse isn’t also speaking of spiritual hunger. If we go to God hungering after his truth and holiness, we are promised fulfillment. But if we stand before God in need of nothing, then we are sure to walk away empty-handed. Such an interpretation would certainly account for the distinction between my student and the professor’s wife. One was hungry; the other wasn’t. This question is an important one to ask yourself because it is a great determiner of whether or not you’ll be spiritually fed. Are you the type of person who goes to God craving sweet teaching from Him, or do leave church having learned nothing because you spent most of your time criticizing the preacher? Do you feel “full” enough in your faith that you can be picky about the teaching you will engage, or are you eager to hear from God no matter His vessel? There appears to be a pervasive lack of spiritual hunger in the church today. For instance, seminary is a season during which students should be theological sponges who soak up every ounce of teaching they can absorb. Unfortunately it’s often quite the opposite. Young, idealistic students learn the tiniest bit of theology and then use it to judge and criticize their church or their pastor’s sermons, instead of humbly learning from them. For another example, consider the way Christian women criticize other female teachers and authors. I have certainly done my fair share of this, and it is sadly common to hear women speak of women’s ministers as if their work has no redeeming value: Forget that God has used her to bring thousands of women to Christ and has strengthened the faith of thousands more, I don’t like her style, method, etc. We are so “full” of our own self-righteousness that it’s no wonder we learn nothing from them. As you can see, how much you learn is closely tied to your attitude. We serve a Redeemer God who is able to use ANYONE to transmit His good news. Even when the teacher or preacher is failing to be a good steward of their voice, God can still move. The question is whether you are receptive to it. The next time you find yourself sitting in church or Bible study, annoyed at the teaching style or disagreeing with something the teacher said, ask yourself whether you are coming to God as one who is hungry. Sure there will be times when you simply don’t like the teacher, but the volume of your complaints may be so loud that it drowns out the still small voice of God. Do you stand before God recognizing how desperately your soul needs the nourishment of His presence, or is your faith like that of a small child who is too picky to be bothered with unpalatable food? Thanks Sharon ~ a very convicting post! Hi Sharon! I’ve actually been a silent reader of yours for a while. I don’t know you and I don’t even remember how I found out about your blog, but thank you for sharing what God has been teaching you all along. I’m an undergraduate in university and at times feel very discouraged and distant on the Christian journey. Your words help to remind me of who and is most important, and often gives me a new perspective on things that I never though about. Thanks! Thank you. I needed very badly to hear this. Thanks for the amazing feedback, everyone! It is wonderfully comforting when you know that you’re not navigating the twists and turns of Christian discipleship alone. Oh gosh… I just read this and I’m feeling some fierce conviction from this past Sunday. I walked into a service expecting to hear a specific pastor, and when a different pastor stepped into the pulpit, my heart dropped and for the rest of the service I struggled with my attitude. Thanks for this “smack” on the hand Sharon. 🙂 I needed it and appreciate it. A lot.